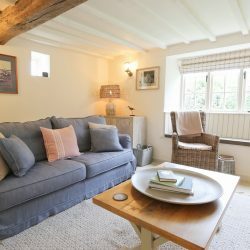 Experience country cottage living at its finest in this quaint bolt hole, the ideal romantic retreat for couples, or special home from home for a family of four. 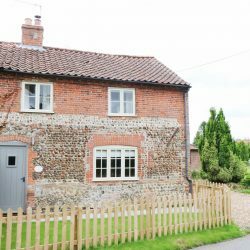 This charming brick and flint cottage is deceptively spacious with two good sized bedrooms, a lovely bathroom and an absolutely gorgeous, large sitting room. 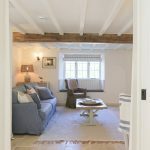 We really love the style and character so prevalent in this property following its recent thorough yet sympathetic renovation. 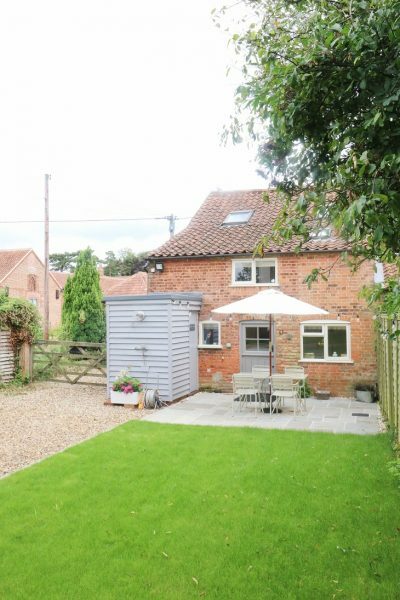 It also comes with a wonderful unlikely feature; to the rear of the cottage beyond the sun-trap terrace and manicured lawn is a step that leads to a wilder section of garden that seems to go on and on. 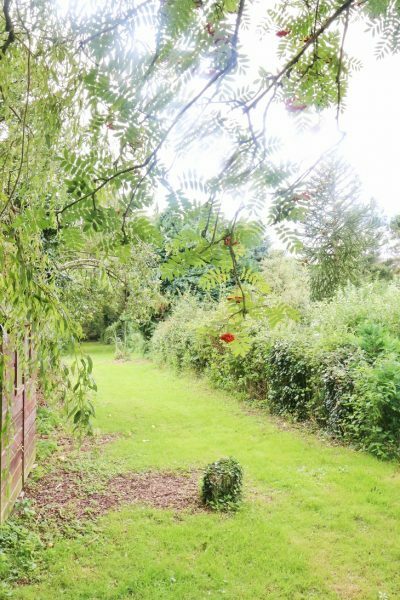 Children will just love playing in and exploring this area of ‘secret garden’. 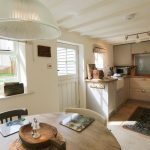 One enters the property from the rear, through the 5 bar gate from the parking area and into the pretty stable-door via the rear terrace. 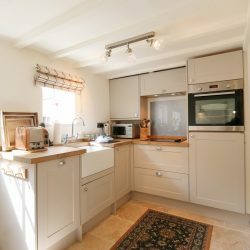 The high quality, modern cottage kitchen has been well thought through with integrated appliances in hand-painted units under a fabulous Oak worktop. 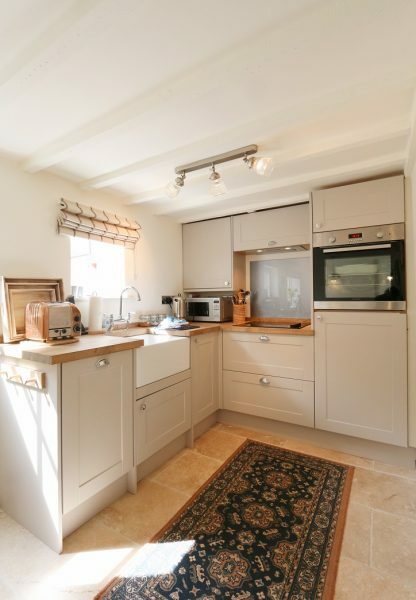 There is a full height stainless steel convection oven above a large fridge with freezer section, induction hob, integrated slimline dishwasher and quality finishes such as the Dualit toaster and kettle. 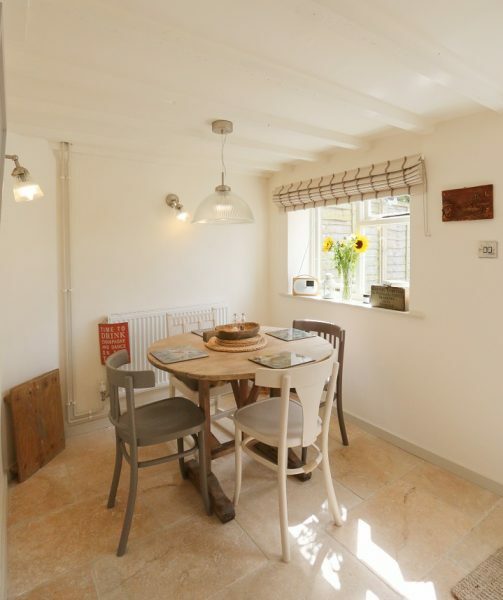 The dining area opposite the kitchen features an antique pine table and four wonderfully quirky mismatch chairs. 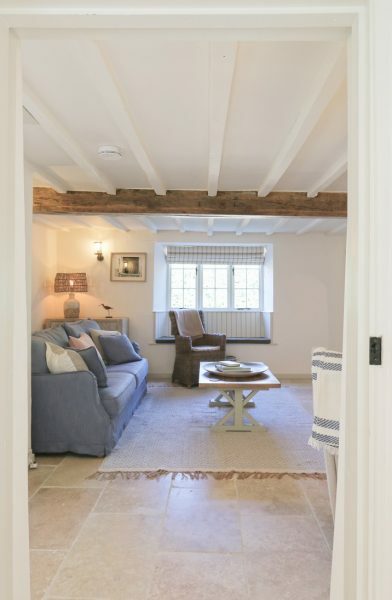 Gorgeous stone floors, which adorn the whole of the ground floor, flow through from the kitchen/dining area, up a small step and into the wonderful living room. 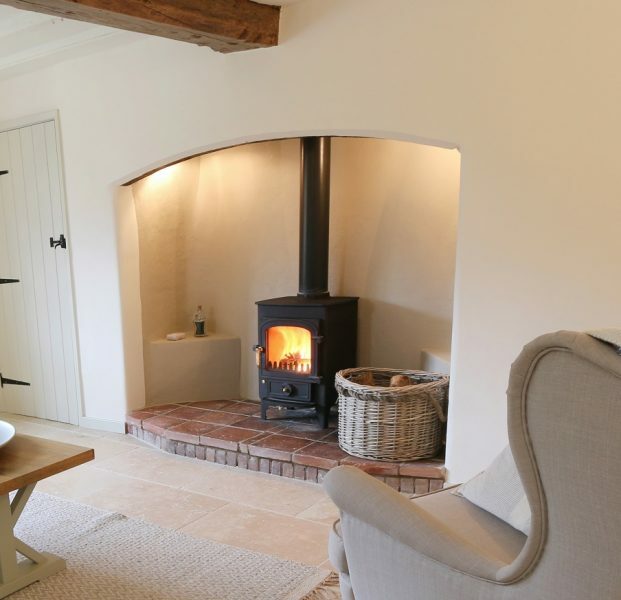 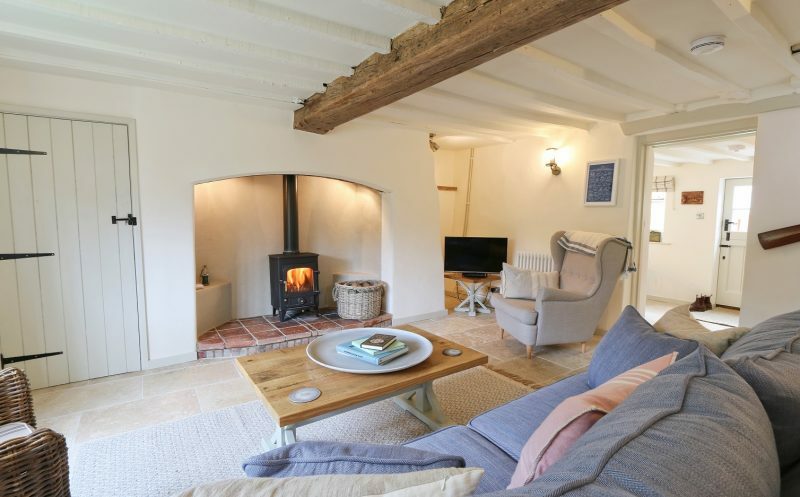 This beautifully appointed space features a superb inglenook fireplace with its log burning stove which makes for a really spectacular focal point. 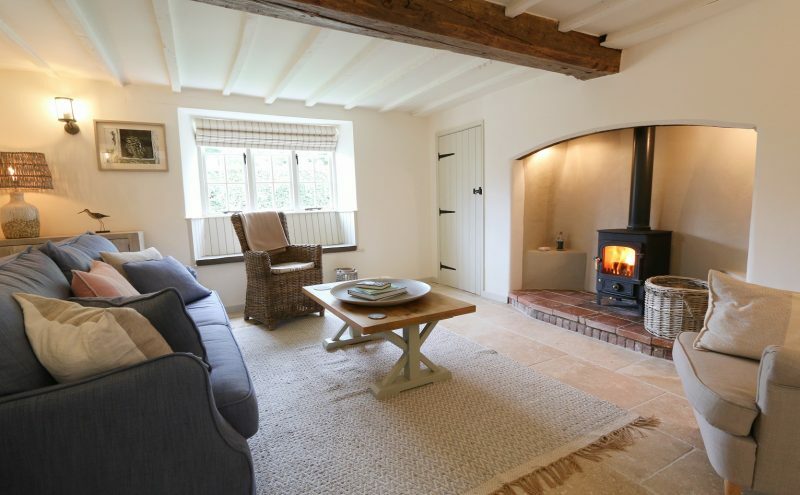 Comfortable soft furnishings surround this homely fireplace and there is a good sized LED smart TV in the corner. 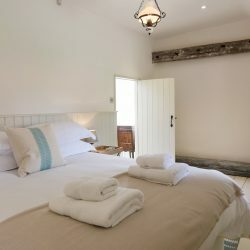 We can picture snuggling up in this room on a winters evening with a bottle of good wine, enjoying conversation or watching a movie. 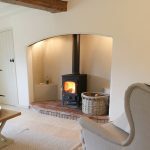 2 Manor Cottage has oil central heating so is lovely, warm and snug in the winter months even if you don’t want to light the fire! 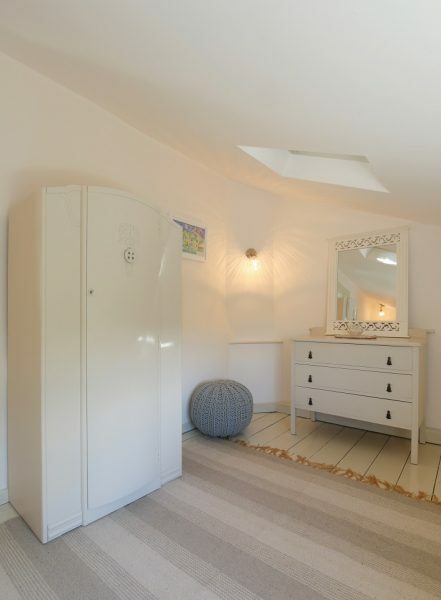 Off the sitting room is a small entrance hall which makes the perfect area for storing extra luggage or your wellies and coats. 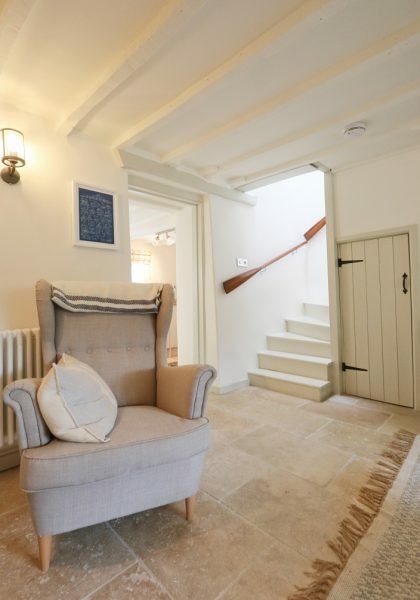 The staircase is open to the sitting room and displays another fab feature; the clever owners have used two old oars as handrails; reclaim interior design at its best! 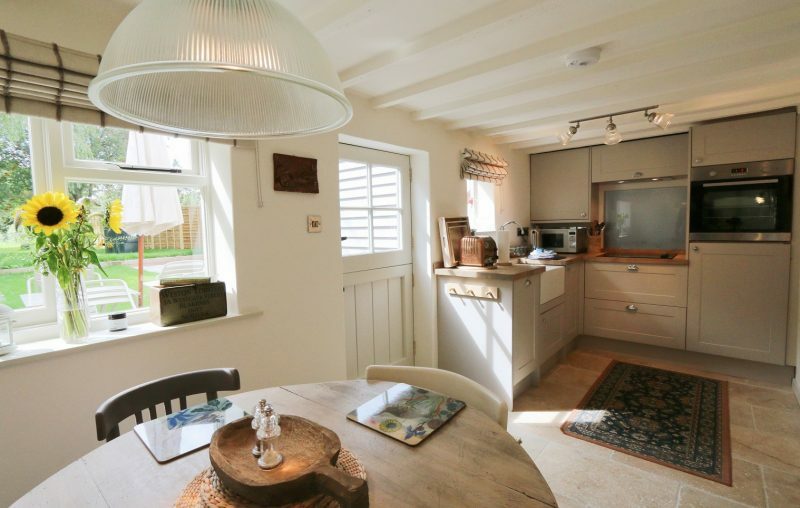 The verve and style of this wonderful little property continue upstairs along with the feeling of light and space, so deceptive when looking at its cute country cottage exterior. 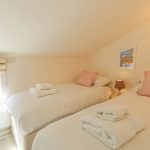 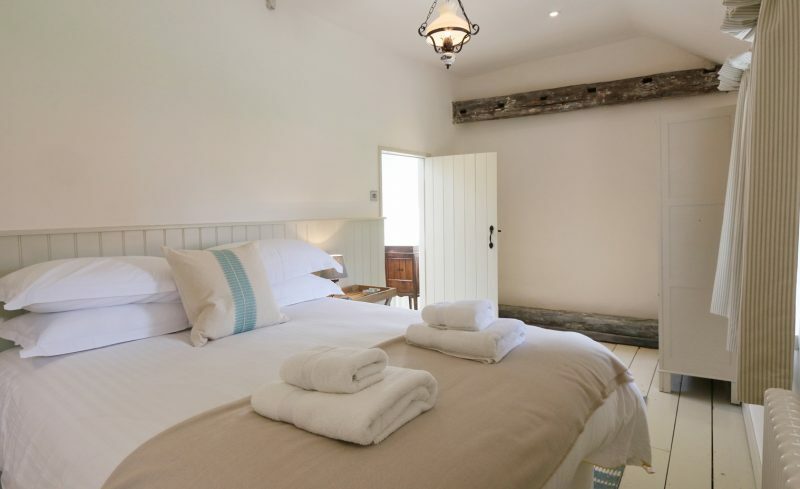 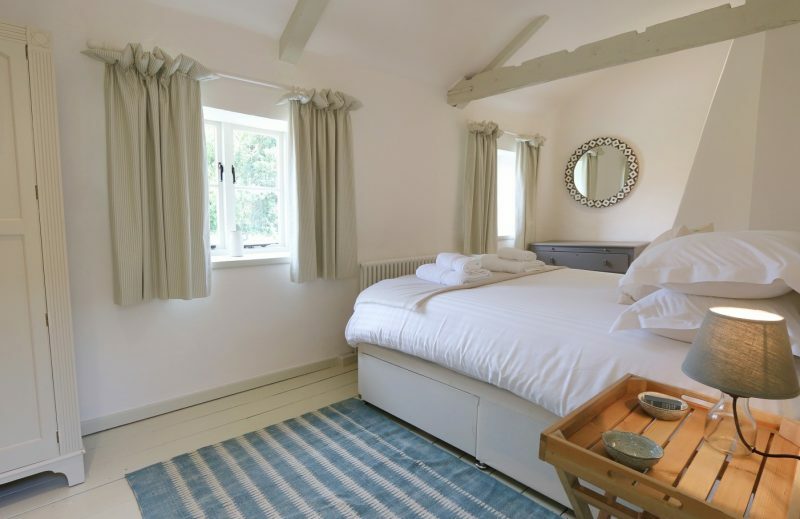 There are two very good sized bedrooms, one with a kingsize bed and the other a twin, both have plenty of storage and exude character with exposed beams, quirky architectural features and the original wooden floor boards. 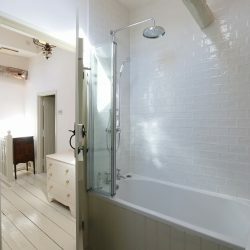 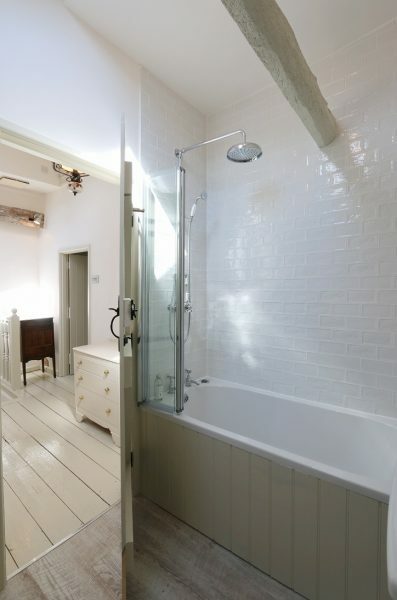 The bathroom, as you would expect, is of the highest quality with a three/quarter size bath and classic style drencher shower above. 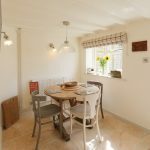 Outside the owners have built two separate terrace areas so guest can enjoy the sun throughout the day, making it perfect for BBQ’s or just chilling out and relaxing al fresco. 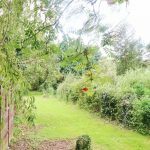 The space behind the manicured garden area has been deliberately left to grow more naturally. 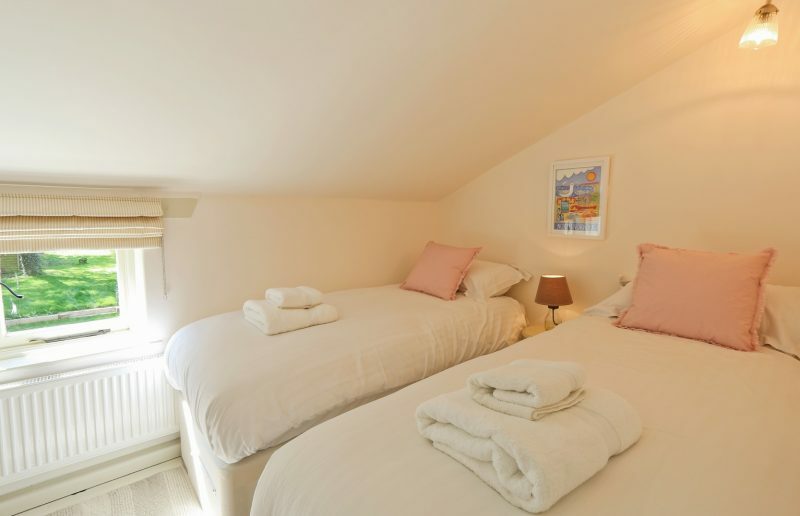 Having young children ourselves we can imagine the fun had making dens and playing hide and seek! 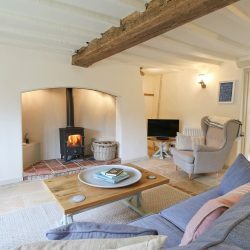 Sitting in the peaceful and wonderfully named village of Little Snoring, 2 Manor Cottage is perfect for exploring everything North Norfolk has to offer from a convenient, central location. 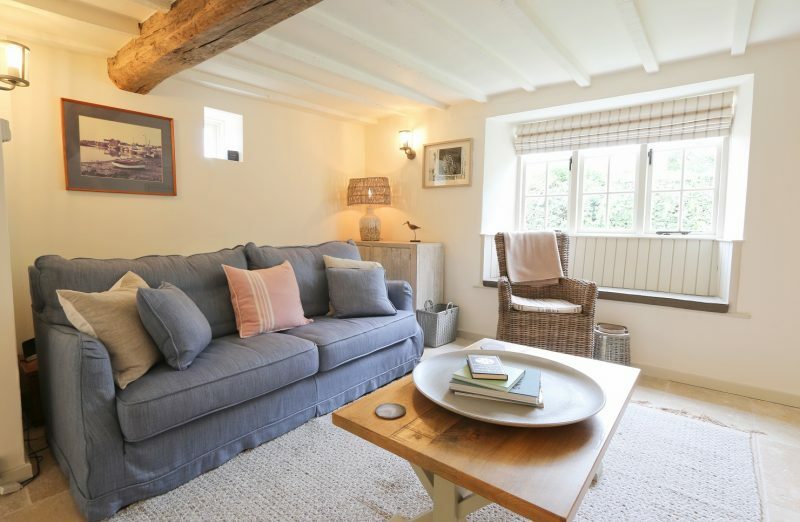 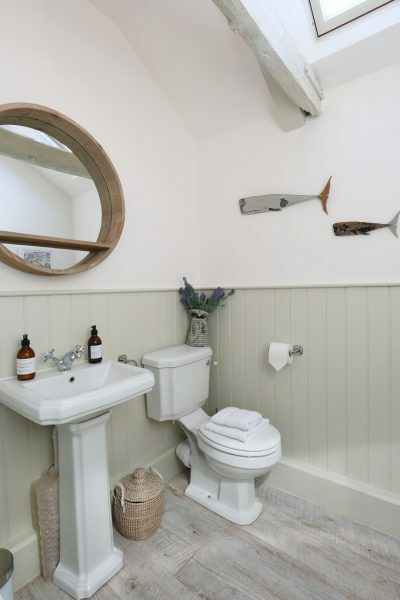 To name but a few; it is just a 15-minute drive to the ever popular, quintessential Norfolk seaside town of Wells next the Sea and all of its wonderful eateries, shops and attractions – not to mention its award winning beach lined with colourful beach huts. 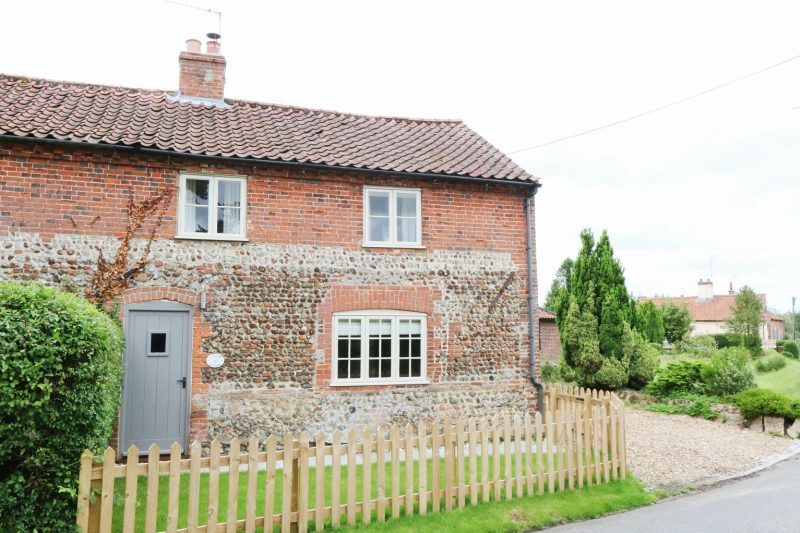 Also within a short drive or bike ride are the famous and historic village of Little Walsingham, beautiful Holkham Hall and the market town of Fakenham with is superb race course (Ostrich racing is not to be missed!) 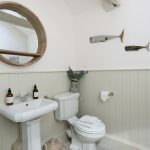 and Farmers Market.